In the moments after a car accident, your body immediately goes into fight or flight mode. Adrenaline shoots through your body, and your sympathetic response is heightened, which can prevent you from feeling injuries. In the days and weeks afterward, however, you will likely start feeling sore as scar tissue forms, which happens immediately. It’s risky to see if an injury will clear up on its own; perhaps you’ve heard those most five dangerous words in the world: “Maybe it will go away.” Simply put, car accident injuries rarely just go away. This is a dangerous assumption to make, because the right treatment can correct these kinds of issues and prevent long term consequences, which can seriously impact your quality of life. At A Better Life Chiropractic, we can help you recover your health and promote healthy healing so that you are not just surviving, but thriving. There are three phases in the repair of soft tissue injuries from auto accidents. We’ll work with you to get you through each stage until your case is successfully resolved. Inflammatory phase. 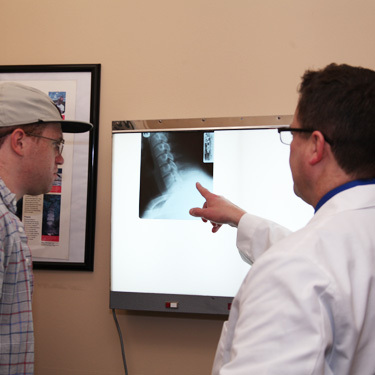 We work to get you out of pain and relieve your symptoms. Repair phase. The focus is on healing the collagen fibers in your soft tissue so that scar tissue cannot form. Remodeling phase. The final phase in which the injured areas are strengthened and stabilized through stretching, exercise and strengthening as needed. Your recovery time will depend on the degree of your injury and your individual response to treatment. We find that it generally takes 12-24 visits in moving through these phases of healing and restoring one to their pre-collision condition. If we find that you are not responding as we would expect, we may refer you for a medical evaluation. Contact us today to find out more about how we can help you regain your health. Insurance coverage can be used for your visits.